Retractor Style Surgical Suction Instruments and sets are transparent with smooth tips and eyes. Yankauer Suction Instrument with Tubing are shatter-resistant, one piece construction and have an optional vent for better suction control. The Yankauer Suction Tubes are half-curved, with an additional slight curved near the tip. They have a large, light, hollow handle. Retractor Style Surgical Suction Instruments and sets are transparent with smooth tips and eyes. Yankauer Suction Instrument with Tubing are shatter-resistant, one piece construction and have an optional vent for better suction control. The Yankauer Suction Tubes are half-curved, with an additional slight curved near the tip. They have a large, light, hollow handle. 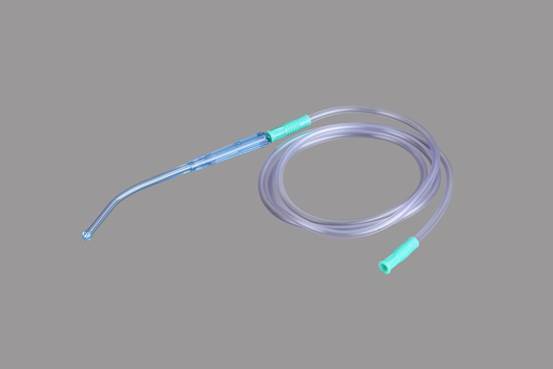 The provided Yankauer Suction Instrument with Tubing are manufactured using the best quality material and sophisticated technology under the guidance of our expert team. 5. CE, ISO 13485 Certificate approved.